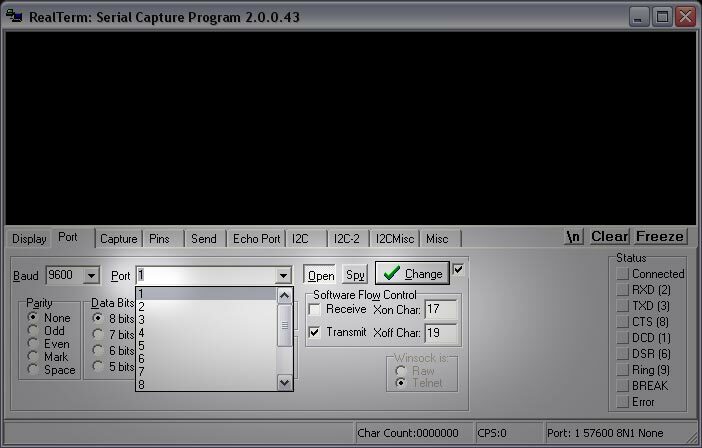 When using several Serial Port connections, it is always good practice to be able to test each port to ensure that all the connections are communicating properly. 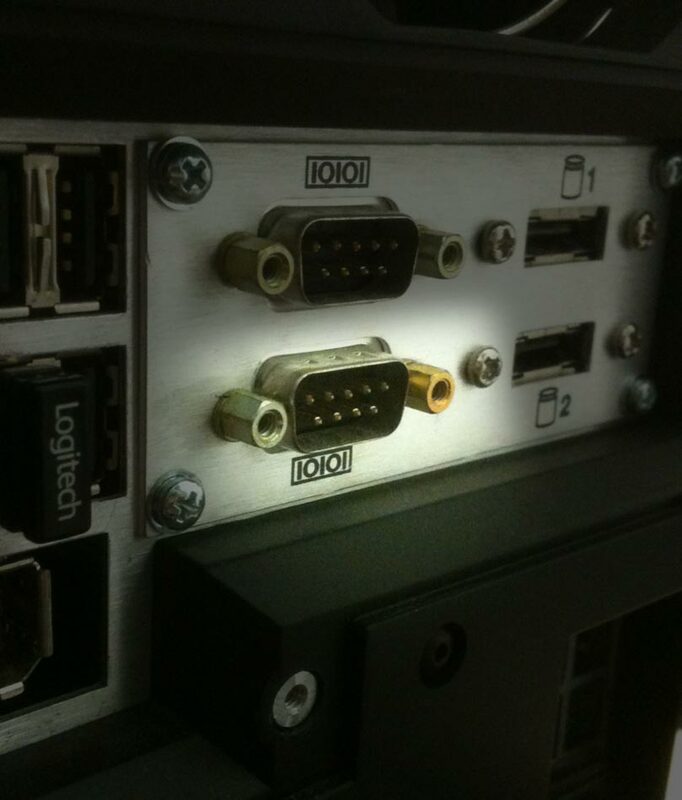 The purpose of this test is to send some data from one port to the other to ensure that the Serial cards, the cables and all the connectors are good. The way we will do this is using a program called RealTerm. We will open two windows of it. One sending data. The other receiving data. When we type a message on one port, the other port should pick it up. Download the .zip from the above mentioned link. Copy it to your Previzion machine. Follow the setup with “typical” installation. This should only take a minute or so. Firstly, locate your motherboard serial connection. This will be by the USB connectors. 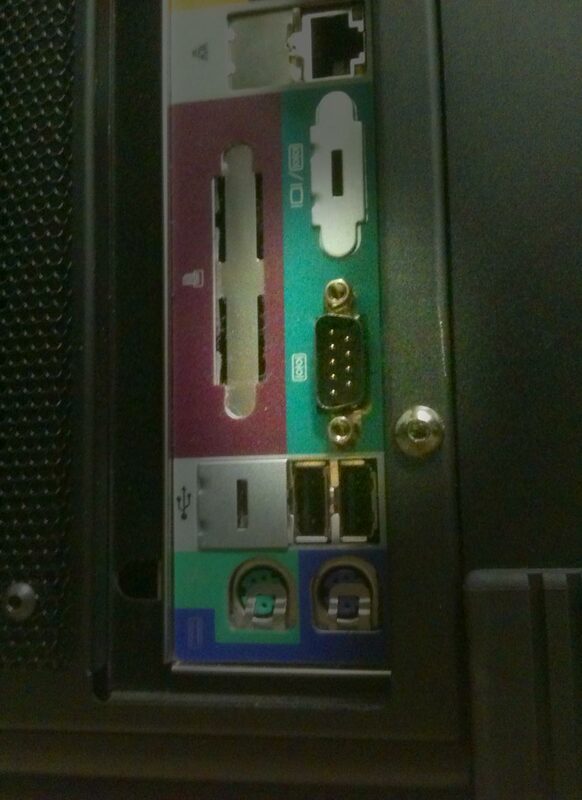 If you have an older Nexcom Machine, the connector is the lower one and it is located on the panel on the right. Secondly, identify the serial connectors that come out of your Serial Card on your Previzion Machine. These are color coded and are labeled (S1 Lens – Red, S2 Encoders – Green, S3 Airtrack – Blue and S4 Intersense – Yellow). Thirdly, we will physically connect the Null Modem Serial Cable to the motherboard serial connector on one end and to the S1 (Lens -Red) serial connector on the other end. We will start with S1 and work our way up to the other ports. We now have the motherboard serial port(COM1) connected to our Lens Port (COM3). To open Realterm, go to “Start”, “All Programs”, “Realterm”, “Realterm”. This opens one instance of Realterm. Let’s open another one. This will give us the following prompt. Just okay it for now. To keep this process neat, let’s place one window to the left of the screen and the other to the right. We will use the left one to send data and the right one to receive data. If the ports are all working properly, we will see a message go through. That is essentially the test. 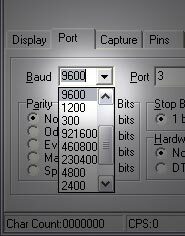 Under the “Port” tab in Realterm, set the BAUD rate on both windows to “9600”. On our left transmitting Realterm window, set “Port” to “1”. Check “Transmit”. Click on Open. Conclude by clicking on “Change”. On our right receiving Realterm window, set “Port” to “3”. Check “Receive”. Click on Open. Conclude by clicking on “Change”. Your status indicators should chance at this point. Finally, what we need to do is click on the black portion of the left transmitting window and type on the keyboard “Hello World!”. You will not see it on that window, but on the right receiving window. This means all is good and your ports are all working. If you are not seeing this. Please triple check your cable (must be a Null Modem Serial) and that it is connected to the ports indicated above. 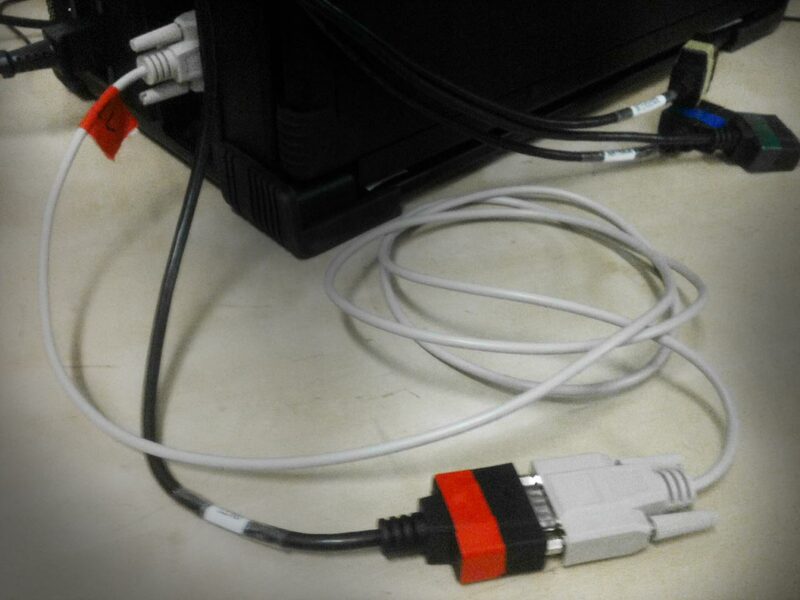 To test the other ports, disconnect the Null Modem Serial cable from s1 Lens port and connect to S2 Encoders port. 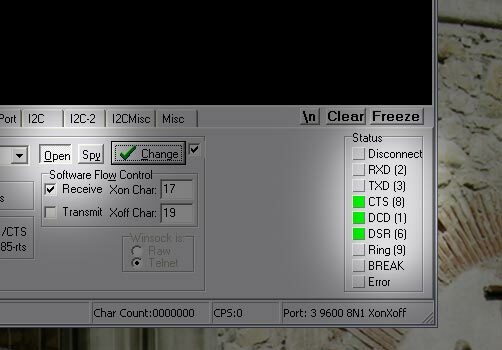 On your right receiving window, change “Port” to “4”. Click “Change”. On your left transmitting window, type out “Hello World from Port 4”. This should be displayed in your right Receiving window. Continue with the next two ports this same manner. S3 (Airtrack – Blue) will be “Port 5” and S4 (Intersense – Yellow) will be “Port 6”. 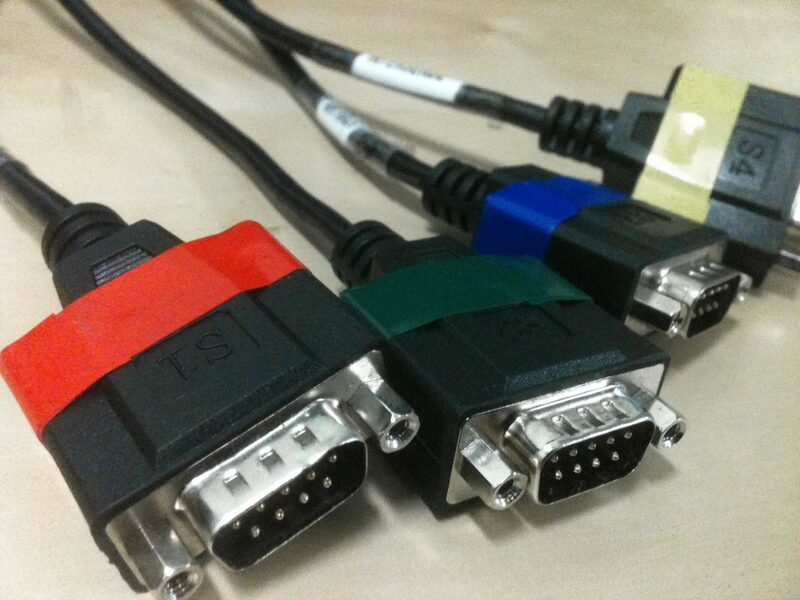 If you have the optional upgrade for a second serial card, you will have another set of 4 serial ports. 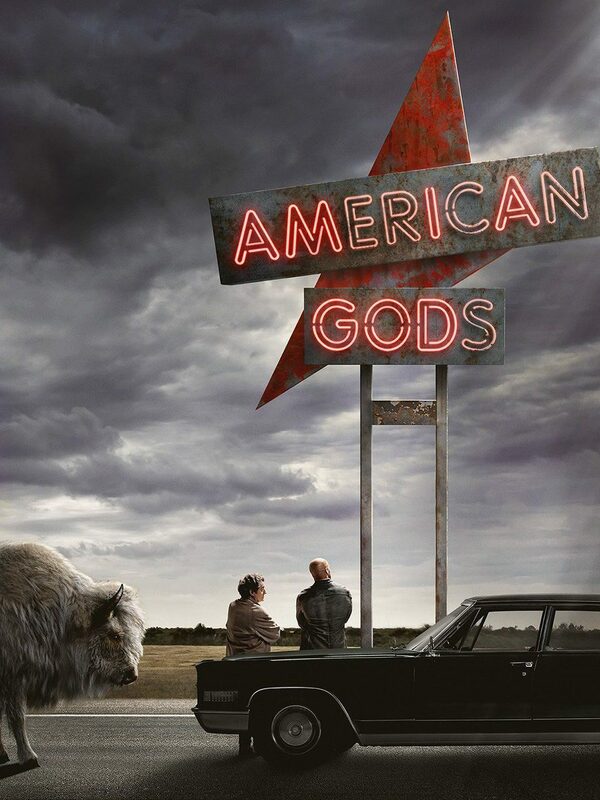 These will also have on them S1, S2, S3 and S4. They will follow S1 as “Port 7”, S2 as “Port 8”, S3 as “Port 9” and S4 as “Port 10”.